The Island of Kauai, very aptly dubbed 'The Garden Island', is draped in lush green valleys, spiked with rugged cliffs, and adorned with waterfalls- the true definition of paradise. And if you are fortunate enough to be headed that way, chances are you'll pass through the island's primary airport, Lihue Airport (LIH). LIH is located about 1.5 miles east of the town of Lihue, along Kauai's southeast coast. Visitors consistently give the facility high marks for its ease of navigation, cleanliness, friendly staff, laid-back yet professional atmosphere, and partially open-air design. One traveler went so far as to declare it his 'all-time favorite' airport! Now that we know what people love about LIH, let's explore the facility's history and how it came to be such a lovely airport. LIH's origins date back to 1948 when land was purchased and a runway was constructed. By 1949, limited services were provided, and the terminal was still under construction. Soon thereafter, construction was completed and the terminal was dedicated in January 1950. As soon as it opened, the airport saw a huge spike in passenger traffic that exceeded prior estimates. Just one year later, plans were set in motion to enlarge the facility. By 1955 the airport covered 160 acres and included a restaurant, parking lot, ground transportation, improved runway, hangars, and lighting. Several additions and improvements were made over the next several years. By 1974, as the number of passengers continued to increase, it became evident that the facility was not equipped to meet the demands. In addition, airlines were starting to use larger aircraft, rendering the single runway inadequate. A new runway was dedicated in 1984; its completion also marked the beginning of a modernization plan for the facility, which was soon undertaken. The current terminal was dedicated in 1987. The upgrades also included a new parking lot, enlarged airport roadways, and modernized utility systems. Today, Lihue Airport occupies 879 acres and sees air carrier, general aviation, air taxi, and military operations. Approximately 8,100 passengers per day utilize the facility, most of whom arrive via American, Delta, United, Alaska Airlines, Hawaiian Airlines, and WestJet. Lihue Airport has a fresh flower and lei stand, a restaurant bar, newsstand, gift shop, and a coffee shop. There are ATMs in the main lobby and baggage claim if you need some cash. Although there is no U.S. Post Office at the airport, there are mail drop-off boxes in the main lobby for your convenience. Should you have any questions or concerns, you may visit the Visitor Information Program (VIP) booths for assistance. If you don't see anyone at the booth, just look around; VIP staff can often be spotted throughout the terminal- delivering Aloha to everyone. Although the Lihue Airport is certainly a pleasant experience, you'll obviously need to get somewhere else from there. If you'll be taking a taxi, these are located curbside before the terminal. Should one not be present, simply use the taxi phones to dispatch one. Renting a car is also very simple, as several rental company booths are located just across the street from the terminal. Pre-arranged ground transportation providers, such as tours and hotel shuttles, also provide service to LIH. Public transportation is provided by the Kauai Bus; the bus stop is located in front of the terminal. If you choose to use this service, we recommend you check the schedules ahead of time. Public parking is located in the lot off of Mokulele Loop; monthly rates are available. There are also designated spaces for electric cars, as well as a vehicle charging station. Electric cars with designated plates park for free. If you'll be picking someone up, the cell phone lot can be found curbside along Hoolimalima Place, besides the rental car booths. Lihue Airport is accessible to those with disabilities. Accessible parking is available in the main lot, and loading and unloading zones are located curbside. In addition, there are two TTYs for the deaf and hard of hearing. You may request porter service with your airline; they can assist you with boarding and disembarking. As a general rule, ground transportation is accessible; however, we suggest you make prior arrangements to ensure a vehicle is available. Guide/service dogs are always welcomed throughout the airport. While you wait for your flight, be sure to peruse the various display cases and artwork located throughout the terminal. 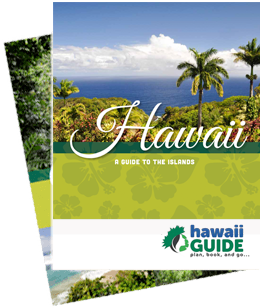 Some of these change periodically, but you can often find information regarding native plant and animal species, books written by various Kauai authors, artwork, and other displays of cultural value. As an added bonus, there is traditional Hawaiian entertainment provided at intervals throughout the day for your listening pleasure. It's the perfect way to either set the mood for your stay on Kauai or to bid farewell to the beautiful Garden Island.